A Habitat for Humanity Saskatoon Volunteer takes the first plunge of the day during the Chillin' for Charity event. With the first snowfall of the year out of the way and weather predicted to be in the minus, 46 brave Edwards students will host their annual Chillin' for Charity event Thursday at the University of Saskatchewan (U of S). The students are part of the Edwards JDC West Team competing in an undergraduate business student competition called JDC West. Known as the largest business competition in Western Canada, JDC West brings students together from 12 Canadian universities to apply course learnings and compete in academics, athletics, debate, and a social event. A big focus of the competition is community involvement, with each competing school encouraged to complete as many charity hours as possible and raise money for six chosen charitable organizations. This year the Edwards School of Business JDC West Team committed their time to volunteer with Habitat for Humanity Saskatoon, the Royal University Hospital Foundation, Ronald McDonald House Charities Saskatchewan, the Friendship Inn, Junior Achievement, and Parkinson Canada. As a competition-wide initiative, funds raised during this year’s Chillin' for Charity event will go to support Habitat for Humanity Saskatoon for the third year in a row. 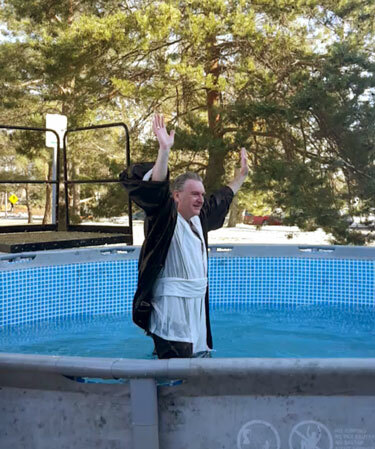 Decked out in costumes, the Edwards JDC West team, along with other U of S student groups, will take turns leaping into a freezing pool of icy water in the Commerce loop on campus to raise money for Habitat for Humanity. Chillin' for Charity 2017 will run from 10:30am to 2:30pm on Thursday, November 2 in front of the Edwards School of Business.